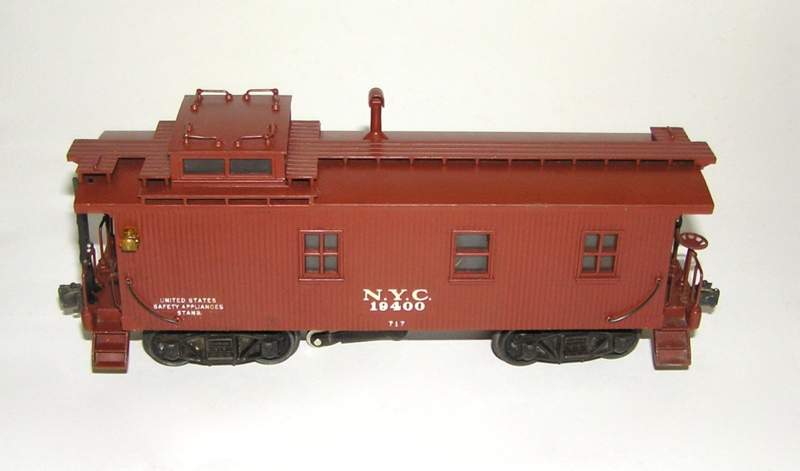 Here is an original Lionel prewar No. 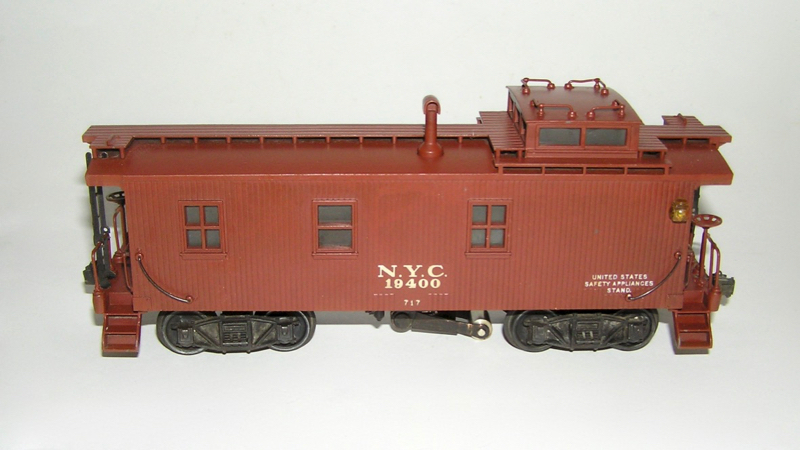 717 "O" Scale NYC prewar die-cast Caboose. 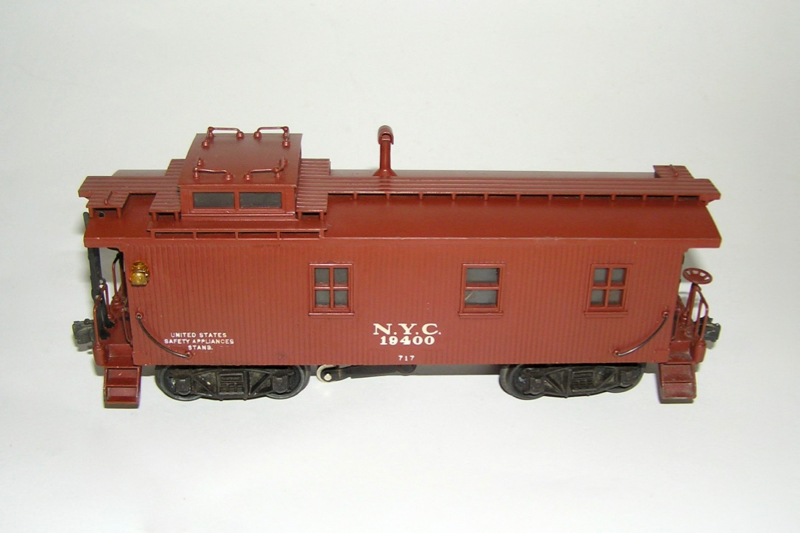 This was included in the late prewar freight sets with the 700E Hudson. Overall in excellent plus - as seen in the pictures. All original and complete. Hard to find with the straight frame. The pick-up roller is a little extended when off the rails. Sides and roof nice and clean. A wonderful car - don't miss, and please ask any questions. Thanks.